Honestly, it’s just work for me. I don’t enjoy most of it. I’ve had a strange facebook troll-stalker, and as a teacher and youth worker, much of my wall is teenage-soaked. It’s just not all that interesting to me. Personally, I have appreciated being able to reconnect with some old friends, but the main value is keeping up with events in the lives of “extended family.” People I care about, but with whom I never have any physical contact. What you say may certainly be part of why Facebook seems to have a negative effect on people’s well-being, but it seems to me that there are a few other major factors. One is that people, online, are often nastier than they would ever be face to face. Normally reasonable, personal people who get into some debate can turn truly vicious. Watching that cascade day in and day out is one of the reasons I rarely go on FB anymore. Another issue, which I faced as an internet addict, was that I sank into the internet world so deeply that my emotional state revolved around responses from my friends. Talk about a sickness. That, alone, can undermine well-being because we are not meant to live locked to a screen. You just identified two other powerful negative effects of serious online social networks. I’ve seen both of these and neither is pretty. Not only do debate turn uglier than they would in person, they do so very quickly. I thank God from delivering you from your addiction. The internet would be a terrible Master to be enslaved to. I do thank him, and it was. I still have to be careful, but now that I’ve seen it for what it is, and I have been re-acquainted with the joys of face-to-face interaction with the world, it is a lot easier for me to see the warning signs of a resurgence and to walk away. I pray for other people about this too. A lot of people suffer from it without realizing it. Thank you for ending this post on such a beautiful note! I admit that envy is the sin I most contend with, and yes, it is insatiable–I am now living the consequences of giving it free rein for too long. I love my friends and love using Facebook to keep up with them, but I recently deactivated my account for a while. I do struggle with comparing myself to others, and I thought it would be a good idea to remove at least one of the tools I use for that. I have to say, the longer I go without FB, the less I miss it. I do plan to go back on FB at some point, but I’m trying to use the intervening time to wrestle with my envy a bit and develop a healthier approach to social media. But I certainly agree that social media, and Facebook specifically, does not *cause* this problem of discontent. That stuff is well entrenched in human nature, and if it didn’t emerge through FB, it would show up in some other way. Thank you for sharing your personal struggle. I know from personal experience what you’re saying about the sense of “sacrifice” or loss growing less acute the longer you are away from the problem. As, since we both know the medium itself isn’t the problem, there’s no reason not to return to it when you are confident that you are in charge and it is nothing more than a tool. Amen! Preach it, Brother. Drifting through life like a jellyfish is going to have surprising unpleasant consequences for sure. I never bothered with facebook et al. until starting to build my platform. I joined a homeschooling bloggers group on facebook and stopped paying any attention to what the other mommies were writing very quickly because I couldn’t possibly measure up. For me, it helps knowing they would never dream of taking on the skeptical scientific community like I do, so we’re just different. My pastor’s wife got off facebook just because it was wearing her out emotionally. When you look at risk factors for depression, you find positive things like new job, marriage, and baby right along with the negative ones. Facebook presents the opportunity to experience these highs and lows far more than our natural surroundings would normally provide. Of course, if you come to my facebook page, you’ll find nothing but encouragement and reminders of God’s awesomeness, so I don’t want everyone to give up just yet! Yes, facebook is an important beam in the platform we build today to spread the news. As for your comment about engaging in a challenging arena, it reminds me how grateful I am that Christ’s Body has all of its different members. For example, my wife as a sped teacher who delights in assisting her students with their most rudimentary and even their basic hygiene needs. I wouldn’t last in that environment for two days. I suspect your experience is the more common one, Lisa. Many people are encouraged (pushed) into setting up a facebook account in the way I succumbed to setting up a twitter feed. Then, because it wasn’t really their own desire, it lies dormant. You’re not alone in having many contacts who never update their pages. Besides, I truly believe its better to have a small group of friends that vast legions of acquaintances. Also, the fact that many people do value and seek a high FB friend count leads to their accumulating a vast legion of acquaintances, people they neither know nor trust enough in whom to confide any real news of themselves or their lives. Hence the endless bragging and puffery so often seen on FB. I, too, would rather surround myself with a very small group of people who have a real interest in and concern for me than hundreds of “friends,” fans, followers or other hangers-on. This suggests to me what it must be like for someone “famous.” You would have so many people wanting to be close to you to sort of bask in the reflection of your fame. It’s crasser, I suppose, when it’s about money (e.g. how “popular” a person becomes to those who have tenuous relationships with them when they win the lottery). A post certainly worthy of Fresh Press. So many would feel so much better if they read this. Facebook is useful tool. Unfortunately it’s grown and become an intruder in some people’s lives. Like jubilare says, because it can be anonymous, bad stuff can and does creep in. A goldmine for stalkers – a nightmare for victims. And as you discussed, there’s the “everyone is doing better than me” (although much of what is posted may be facade/staged to impress). Must be really difficult for parents with kids setting limits/keeping an eye on their kids’ Facebook entries, comment, and time spent. Yes, the problem with useful tools is that they can become destructive in the wrong hands. And there are always people ready and eager to corrupt new discoveries for their own purposes. When I was thirty, I was still terribly naive when it came to believing what people said. Due to my own ultra-honesty, I assumed that when people told me something (unequivocally) that they were speaking the truth as they knew it. In that sense, I know how exaggerated a “facade” most people present. I tend to believe people are generally good, truthful, and fair, too. Some harsh awakenings. 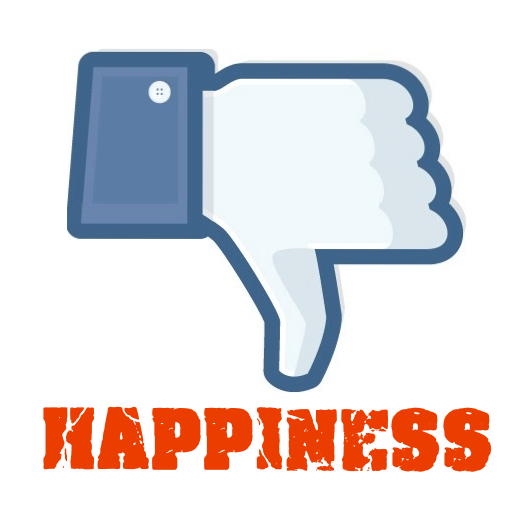 As a result, Facebook is probably not for me….and blogs shoudl be approached with caution? Really praying for the county right now. DIfficult times. Some people do tend to enjoy posting the trivial. However, I appreciate being able to hear significant things (e.g. vacationing with grandkids, facing surgery, etc.) so that I can celebrate and/or pray with people I know and care about.